With a fun and learning filled year, we look forward to working with your families to continue to help our Pack grow and go, providing opportunities for all of our scouts and their families that you may otherwise not be exposed to. Please keep and eye on our Pack calendar events posted through our Website as well as regular updates through email reminders and announcements. We have also incorporated a new scout tracking and communications system into our pack this year called “Scoutbook”. Our Pack trainer Paula and our assistant Cub Master and Leader Coach Tom will provide some guidance through the new leader training which will be provided to new leaders, parents, and volunteers. Q: What is next if we already signed up at the round up night on August 30th? 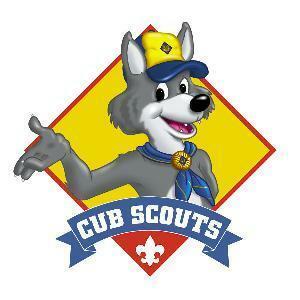 A: Attend the “My First Den Meeting” hosted by Lori Foster, one of our experienced Den Leaders of Webelos Den 4. Lori will help get you started understanding what a den meeting looks and feels like and start the boys on their Bobcat trail. This is for all new boys and their parents to attend. Siblings are welcome but it is recommended that you bring some activities for them while the boys and parents are engaged in the meeting. Join us at Fountaindale Library in Bolingbrook at 6:30pm – 7:30pm on Thursday evening 9/3/2015 in the meeting room. Q: We haven’t signed up but are interested in signing up, whats next? A: If you haven’t signed up you can do so at the “My First Den Meeting” at the library on Thursday evening starting at 6:30pm. This will allow you to jump in and get started and help you understand more of what to expect. Q: I can’t make the “My First Den Meeting”. Will there be another opportunity to meet? A: Our next meeting is our Pack Night scheduled for September 15th at 7pm. Please see the calendar for details on location and time updates. Please see our downloads section for our “Parent Guide” for 2015. This will help guide you through some of the basics of what you need to know about scouting and scouting with our Pack. If you have additional questions, please don’t hesitate to reach out to us through our contact page and we will respond ASAP. Thank you and welcome to our Pack!